Every woman’s body is unique; therefore, some may experience multiple symptoms or none at all during the early stages of their pregnancies. If you believe you could be pregnant, it is advised that you see your doctor to confirm the pregnancy. Once your pregnancy is confirmed, your doctor will discuss a prenatal care plan that is best for you and your baby’s health. Prenatal care is vital because it improves the chances of a healthy pregnancy. 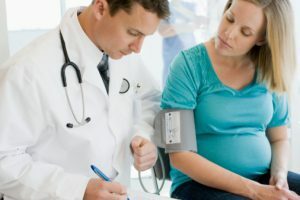 Women who do not receive prenatal care are three times more likely to have low birthweight babies and are more at risk of having complications caused by pregnancy. Preconception care and prenatal care while different are both very important factors in the health of a woman and her unborn child. Preconception care consists of the healthcare you receive before conceiving. During this time, your doctor will assess your health to determine if there are conditions that can affect your future pregnancy. Potential risks may be reduced or eliminated by applying interventions such as medication or lifestyle changes. Lifestyle changes that are encouraged may include eating a healthy diet, maintaining a healthy weight, taking supplements that contain folic acid, receiving pertinent vaccinations, getting mentally healthy, quitting smoking and avoiding alcohol consumption. Most doctors recommend receiving preconception care three to six months before the time you intend to conceive. Prenatal care is healthcare you receive while you are pregnant. It is important because it helps improves your chances of having a healthy pregnancy. 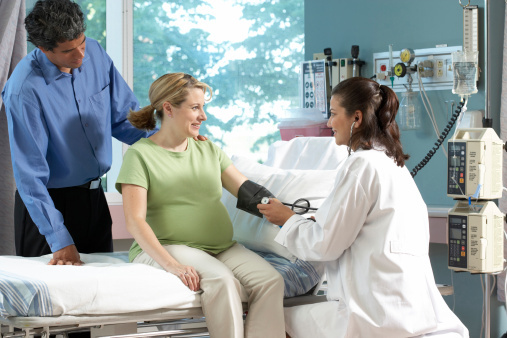 Your visits with your doctor may involve physical exams, imaging tests, blood tests or screening tests to detect fetal abnormalities. It is recommended that you ask your physician lots of questions and express your concerns during these visits. Your physician will serve as a guide and source of support as your body changes. Prenatal care is essential in promoting the best possible outcomes for mother and child. The sooner you receive care the better. To receive information about preconception or prenatal care at Flushing Hospital Medical Center or to schedule an appointment with one of our doctors, please call 718-670-5486. Winter presents several factors that can make being pregnant challenging. Extremely cold temperatures and other severe weather conditions can put expectant mothers at risk for injuries. The cold-weather season is also the peak time of year for illnesses such as the flu to develop. Dress appropriately– Pregnant women have an altered center of gravity. Wearing heels or other impractical footwear is not recommended, especially in icy or slippery conditions. Consider shoes that are flat and are designed with safety features such as rubber and slip-resistant bottoms. It is also important to wear warm clothing, dress in layers if necessary. Take measures to prevent the flu– According to the Centers for Disease Control and Prevention (CDC), influenza (flu) activity increases during October and November and peaks between December and February. During these months, the CDC recommends that moms-to-be receive the flu shot and practice preventative actions such as washing their hands to keep the flu at bay. Exercise safely- When temperatures are frigid and there is snow or ice on the ground, exercising indoors is best. Activities such as mall walking or joining a class at the gym are both suggested options for those experiencing cabin fever. Stay hydrated- Dry temperatures indoors and outdoors causes our bodies to lose water and moisture in the winter. Expectant moms should be mindful of their water intake and try to stay hydrated, as severe dehydration can lead to preterm labor. Eat a healthy diet- It is important to eat balanced meals. Eating fresh fruit and vegetables each day can help to boost the immune system. Following these tips can help pregnant women to stay safe and healthy during the winter season. However, it is recommended that expectant mothers speak to their doctors to learn about all the ways they can reduce their risk of injuries and prevent winter-related illnesses from developing. To schedule an appointment with a doctor at Flushing Hospital Medical Center, please call 718-670-8992. Can Pregnancy Increase Your Chances of Developing Gum Disease? Hormonal changes during pregnancy can affect a woman’s body in many different ways; one such change occurs inside a woman’s mouth. It is estimated that forty to fifty percent of all pregnant women will develop what is referred to as “pregnancy gingivitis,” a mild form of gum disease that is caused by increased production levels of the hormone progesterone. These hormonal changes make it easier for certain gingivitis-causing bacteria to grow in your mouth and it makes your gums more sensitive to the build-up of plaque. Taking care of your gums during pregnancy is very important. There have been multiple studies that have linked gum disease and premature birth. A study conducted by the Journal of the American Dental Association concluded that women with chronic gum disease were four to seven times more likely to deliver prematurely or have low birth weight babies than mothers with healthy gums. Symptoms of pregnancy gingivitis can range from a slight reddening of the gums and mild inflammation to severe swelling and bleeding gums, especially after brushing or flossing. Pregnancy gingivitis can occur anytime between the second and eight month of pregnancy. The best way to avoid pregnancy gingivitis is to maintain proper oral hygiene. It is recommended that women brush twice a day or after every meal with a soft-bristled brush and toothpaste containing fluoride. Flossing as well as using an alcohol-free, antimicrobial mouthwash daily is also suggested. In addition, don’t skip your dental visits just because you are pregnant. In fact, it is more important to see your dentist when you are pregnant. They can provide a professional cleaning and check-up. Your dentist can also prescribe antibiotics if necessary. By following these preventative measures, you can reduce your chances of developing pregnancy gingivitis as well as well increasing the probability of delivering a full-term baby. If you are pregnant and would like to schedule a routine visit at Flushing Hospital’s Dental Center, please call 718-670-5521. Proper nutrition during pregnancy is so important to both mom and her developing baby. Eating well-balanced meals should be every expectant mother’s goal, unfortunately, it isn’t always possible. In order to make sure that mother and child are getting all the vitamins and minerals necessary, doctors will often prescribe a prenatal vitamin. One of the key ingredients in a prenatal vitamin is folic acid. This is important because it will help to prevent neural tube defects which lead to abnormalities of the brain and spinal cord. It is also important to have the proper amount of vitamin D and calcium as they are important for bone development and growth. If an expectant mom doesn’t have a diet with sufficient quantities of dairy products fortified with vitamin D or other calcium-rich food, then she could consider a supplement containing them. The best way to take prenatal vitamins is starting them before you conceive so there is a proper level of these vitamins and minerals in the body from the very beginning of pregnancy. Continue to take them during the full term of the pregnancy and continue them if you are going to breastfeed. Prenatal vitamins are not meant to substitute for well-balanced meals but they certainly serve a very important role in keeping mom and her baby healthy. 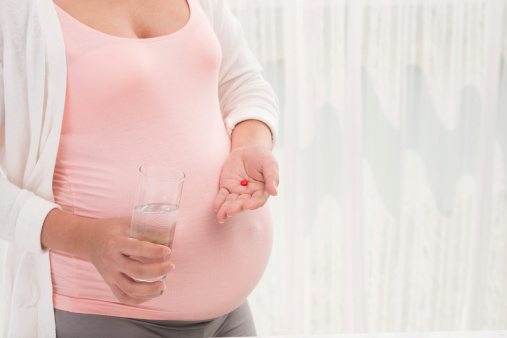 Before you start taking prenatal vitamins you should consult with your physician. If you would like to make an appointment to see at Flushing Hospital Medical Center’s Department of Obstetric’s and Gynecology call 718-670-8992 for an appointment. Pregnancy and Cleaning: What are the Dangers? Many expecting moms develop a nesting instinct; and uncontrollable urge to clean their home in preparation of their new baby’s arrival. Flushing Hospital wants moms to know that while tackling most chores is totally safe, there are some tasks that may pose a risk to your health and the health of your baby. • Moving heavy furniture when you’re pregnant can be dangerous. Hormonal changes during pregnancy can make your connective tissue and ligaments looser, which increases the risk of muscle strains and injury. In addition, your center of gravity can shift as your pregnancy progresses which can throw off your balance. These changes make lifting more challenging, further raising your chance of injury. Your best bet is to let someone else do the moving. • Changing your cat’s litter box can lead to a condition known as toxoplasmosis, a parasitic infection that can be transmitted through infected cat poop. If you’ve never had toxoplasmosis before, you could possibly become infected while pregnant and pass the illness on to your baby. Toxoplasmosis can cause flu-like symptoms in adults, but in a baby during the early stages of pregnancy it can cause serious birth defects such as eye and brain damage. • While there is still a debate about the effects paint can have on pregnant women and their babies, it’s generally considered a good idea to limit your exposure to paint and paint fumes while pregnant. Most paint contains solvents that can cause health problems when inhaled too much. Having a room in your home painted is probably not a high risk for you or your baby, but if painting needs to be done, have someone else do it and make sure there is good ventilation to avoid inhaling paint fumes. • It’s not ideal to use ant and roach spray during pregnancy. The low exposure of occasional use is unlikely to pose a risk, but some studies have indicated there may be a link between exposure to these products and child development problems. While these studies are inconclusive, it’s probably best to play it safe and minimize use. Instead of using sprays, it is recommended to use baits or other products that are not likely to be inhaled. With all other cleaning products, it is best to practice safe use. Wear gloves and other protective clothing to protect your skin from exposure and use a mask to prevent inhaling unnecessary chemicals. Attempt to open windows or use a fan to ventilate the area you are cleaning and always read manufacturer’s labels before using a cleaning product. If you are unsure about a household cleaning product, speak with your doctor first before using. Flushing Hospital’s Women’s Health Center has an expert team of doctors and nurses to guide you through every step of your pregnancy. For more information, or to schedule an appointment, please call 718-670-8992. Gestational diabetes is the term used to describe a high level of blood sugar that develops in pregnant women who never had diabetes prior to their pregnancy. The exact cause is not certain but it is thought to be due to the placenta blocking the body’s ability to use insulin and therefore causing the blood sugar level to rise. The body simply can’t manufacture high enough quantity of insulin to keep blood sugar under control. Gestational diabetes usually affects the mother after the 24th week of pregnancy. Babies born to mothers who have gestational diabetes tend to be heavier than babies born to mothers who have well controlled blood sugar. There is also the chance that women with gestational diabetes will deliver their babies pre-term. Later on in life these babies may develop diabetes on their own. After the baby is born, the mom’s blood sugar often returns to normal but there is a higher risk of developing type II diabetes later on in life. Treatment for gestational diabetes includes regular daily testing of blood sugar, a very strict diet and a regular schedule of exercise. Medication may be necessary to control the blood sugar in some cases. If you are pregnant or thinking of becoming pregnant and would like to schedule an appointment with a doctor at Flushing Hospital, please call 718-670-5486. In addition to your routine prenatal tests, it is recommended that you schedule an appointment for a first-trimester screening. These tests are highly important as they can help your doctor to gather information about the baby’s risk of developing certain chromosomal conditions such as Down syndrome, trisomy 13 or trisomy 18. First trimester screenings are typically conducted between the eleventh and fourteenth week of pregnancy. The process is non-invasive and safe; there are no known physical risks associated with having these tests. During your appointment, your doctor will draw blood to measure levels of plasma protein-A and human chorionic gonadotropin, or hCG. An ultrasound will also be performed to measure the nuchal translucency, which is the fluid beneath the skin of the baby’s neck. Increased thickness can be an early indicator of Down syndrome. It is important to keep in mind that these tests are not diagnostic. The results, along with factors such as your age, family history and ethnicity are used to help determine the risks of your baby developing chromosomal abnormalities. The results may also indicate a need for further testing that may include CVS (chorionic villus sampling) or amniocentesis. The Division of Maternal-Fetal Medicine at Flushing Hospital Medical Center has the most up-to-date equipment for the evaluation of mother and fetus. The division is staffed by full-time Board Certified Perinatologists and highly trained nurses. Genetic counseling, amniocentesis, diabetic counseling, as well as maternal-fetal evaluation are offered during the course of pregnancy. For more information about the many services offered by the Department of Obstetrics and Gynecology at Flushing Hospital, please call 718-670-8994. On July 25, 1978 the first baby was born that had been conceived invitro. These babies were referred to as “Test Tube Babies” because they were essentially created in a laboratory in a glass tube. Invitro Fertilization is the process where the egg harvested from a female is combined with the sperm obtained from a male in a lab and in a glass tube. This was the culmination of many years of research performed by Dr. Patrick Steptoe and Dr. Robert Edwards during the 1960’s and 1970’s in England. The invention of the microscope in the 17th century really helped scientists understand how fertilization takes place. For hundreds of years following this development, research was done on how to implant fertilize eggs artificially, but while still within the body. It wasn’t until the beginning of the 20th century that fertilization outside of the body was begun. In 1959 the first rabbit to be conceived invitro was born, followed in 1963 by a hamster and in 1972 by the birth of a mouse. The technique that really helped advance IVF was the use of laparascopic surgery. This allows the gynecologist to remove the follicles from the ovary very precisely. 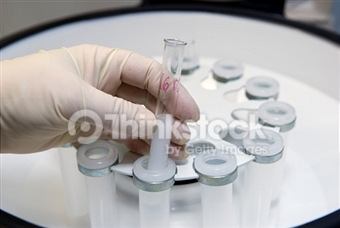 It is estimated that now over 200,000 babies have been conceived using IVF. The procedure has been improved upon tremendously in the last few years. Many times this process leads to multiple eggs being fertilized and more than one baby being conceived. To speak to a physician at Flushing Hospital about IVF and pregnancy in general please schedule an appointment by calling 718-670-5486..